Your Communication Should be Strategic and POWERful! It’s no secret we should all have a strategy in place to accomplish goals we set… but many organizations shoot from the hip without a plan. Our ultimate goal is to drive leads that increase sales for our clients, and to help with internal and external communication of all kinds… Taking the strategic and tactical work of marketing communications off your plate or working with your team to help them is at the heart of what we do. Let us be your marketing solution. 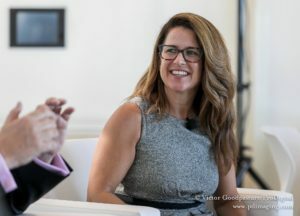 Principal, Megan Powers, has more than 20 years of experience in marketing & sales in high tech, hospitality, and events & meetings industries. She is passionate about effective communication in all its forms, and her experienced team will exceed your expectations. Check out our PODCAST! 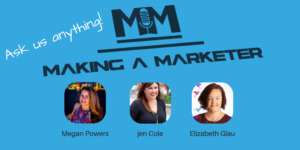 I host the Making a Marketer podcast (subscribe on iTunes! ), exploring all avenues of marketing.